I’m not here to patronize anyone. I’m here to keep you from being lost! I’m a preacher, but once my life was out of order. I was on a fast track to Hell. And duh! I finally got saved through Christ. Now I want to help you get it! You can live in total freedom! You can live in harmony with God and man! You can have a dynamic and successful, powerful life! You can have a spiritually and physically prosperous life. Jesus, in his death on the cross, cleared the way for you. Soteria, as discussed above, is the spiritual and eternal deliverance granted immediately by God to those who accept His conditions of repentance and faith in the Lord Jesus, in whom alone salvation is to be obtained. You must confess Him as Lord; the Gospel is the saving instrument. Father God, I have read Your word. You said if we confess our sins You are faithful and just to forgive our sins and cleanse us from all unrighteousness. Today, right now, I accept you Father God as my God, and I now renounce all the works of the flesh and the works of the Devil. Today Jesus is my Lord, my God, my King forever. Amen! If you confess with your mouth the Lord Jesus, and believe in your heart that God has raised Him from the dead, you shall be saved. If you sincerely said this prayer, then WELCOME TO THE FAMILY OF GOD! And please, e-mail me and let me know you’ve done this. There are many Bible-believing, people-loving churches out there to help you grow in the faith. Please read I John 1:9, Romans 10:17, Romans 11:16, I Peter 2:9. Bless it up! 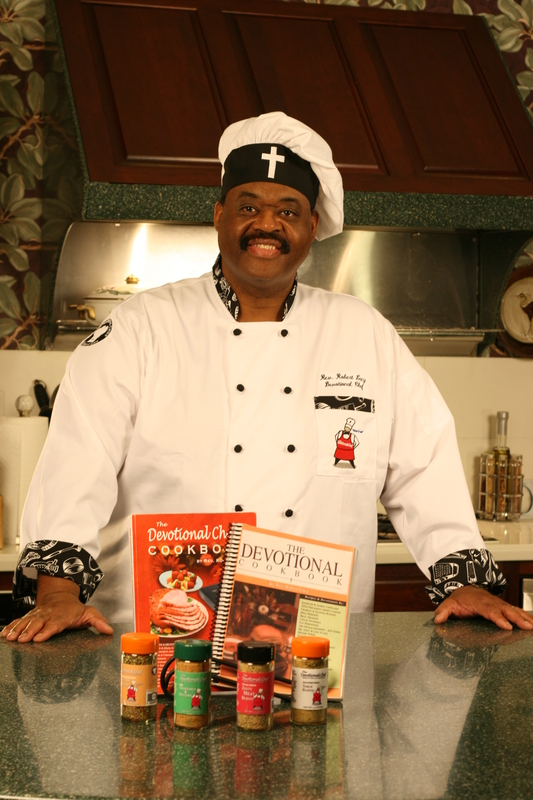 Join the Devotional Chef Mailing List! Sign up using the form HERE. Thanks! We will send you special recipes, prayers and other helpful info. See what others are doing in the foodie world. Click here!